How do you make a cupcake even better? You add more deliciousness by stuffing the mini-cake with a sweet, creamy filling. Here, five over-the-top filled cupcakes. How do you make a cupcake even better? You add more deliciousness by stuffing the mini-cake with a sweet, creamy filling. Here, five over-the-top filled cupcakes (which you can make extra-beautiful with this super-smart and easy tip for swirling frosting). 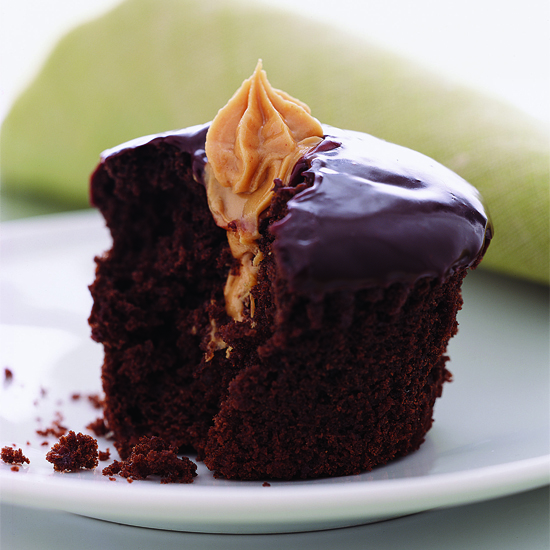 These tender chocolate cupcakes are filled with a salty peanut butter mixture and then dipped in a rich, silky chocolate ganache frosting. Incredibly gluten-free, these decadent cupcakes are filled with a silky banana custard. Think of these fluffy cakes as grown-up Ho Hos filled with a nostalgic marshmallow frosting. Also known as black bottoms, these chocolaty and creamy cupcakes are filled with a mix of cream cheese and chocolate chips. These low-fat, cupcake versions of jelly doughnuts are filled with a delicious jam made with fresh raspberries. 21 Best Chocolate Cakes in the U.S.